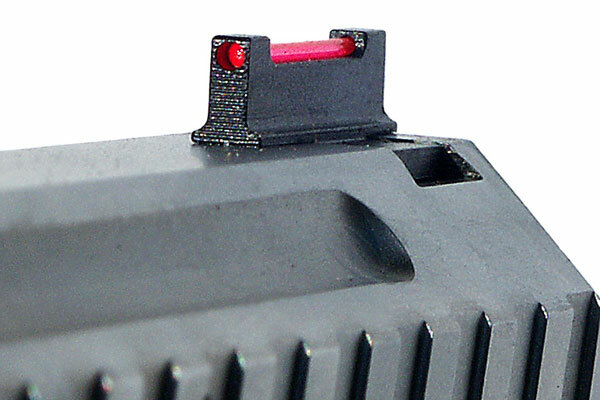 Sightlink now adds Signature Series pistol sights to complete its winning rifle and shotgun fiber optic sight line-up. Sightlink fiber-optic sights are used by winning shooters like Emanuel Bragg (two time USPSA Gold Team World Shoot winner) and Ted Puente (USPSA Limited Pistol Nationals winner & two time winner of USPSA Limited 3-Gun Nationals) — shouldn't you be using the best, too? 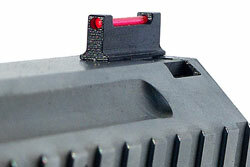 The foundation for the successful use of iron rifle or pistol sights is a front sight that is in sharp focus. The rear sight and the target can be out of focus, but the front sight must be crisp and clear. If not, the shot will not be successful. Sightlink fiber-optic sights allow the eye to easily and quickly shift from the task of acquiring a distant target to rapidly focusing on the front sight — instantly improving both accuracy and speed. 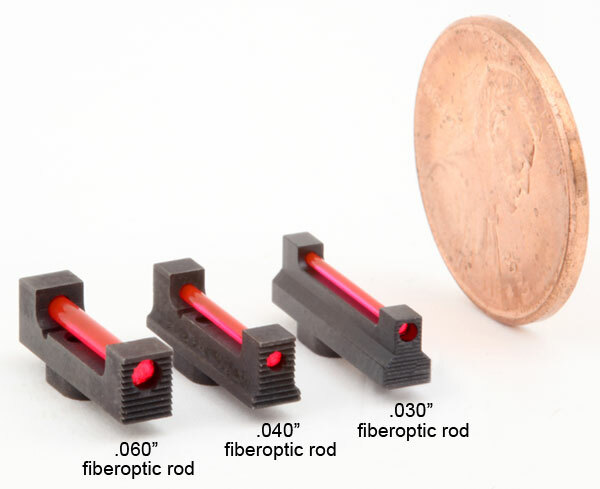 Available in popular colors, Sightlink fiber-optic rods are intended to be changed at the range in seconds. Signature Series sights are available in three widths to match your shooting style and your rear sight. Standard width sights are .120" wide and utilize a .060" (1.5mm) fiberoptic rod. Match width sights are .095" wide and utilize a .040" (1mm) fiber-optic rod and Ultramatch width sights are .070" wide and use a .030" (.75mm) fiber-optic rod. Signature Series sights are also available in multiple heights, permitting you to tailor your sights to unique aspects of your weapon and ammunition combination. 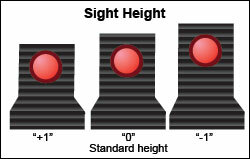 "0" Sights are standard height. "+1" Sights are shorter, but will move the point of impact up. Use "+1" sights when your weapon shoots too low using standard sights. -1" Sights are taller, but will move the point of impact down. Use "-1" sights when the weapon shoots too high using standard sights. Signature Series pistol sights are available for most popular handgun dovetails including Heine, Novak, XD, Sig, Para, CZ, S&W M&P, and the Glock mounting system. Check your existing front sight height before ordering, and remember that changing rear sights may change front sight height requirements. Standard width sights are .120" wide. Match width sights are .095" wide. Ultramatch width sights are .070" wide. 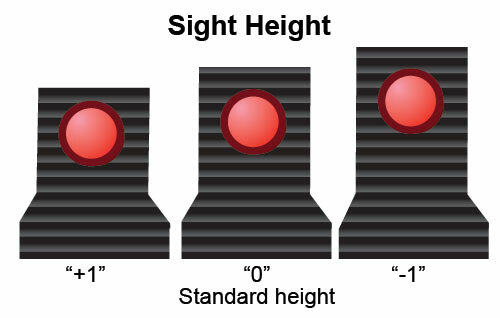 "0" Sights are standard height. "+1" Sights are shorter, but will move the point of impact up. Use "+1" sights when the weapon shoots too low using standard sights. "-1" Sights are taller, but will move the point of impact down. Use "-1" sights when the weapon shoots too high using standard sights. Check your existing sight height before ordering. Change of rear sights will effect front sight height requirements.